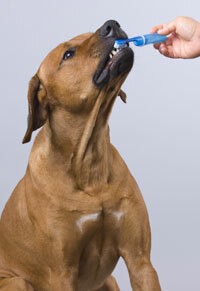 One of the most common disease conditions we encounter in our pets is dental disease. Bacteria that accumulate in the mouth can form a biofilm, which promotes plaque and bad breath. If left untreated, it could progress into a more serious condition that may even affect your pet’s overall health. As part of our preventative health care, we perform a thorough oral examination when possible. Depending on your pet’s degree of dental disease, we may recommend daily brushing, dental treats, dental food, and/or a dental cleaning in the clinic. Just like humans, our dog’s and cat’s health can benefit tremendously from regular examinations and professional dental cleanings at our hospital.